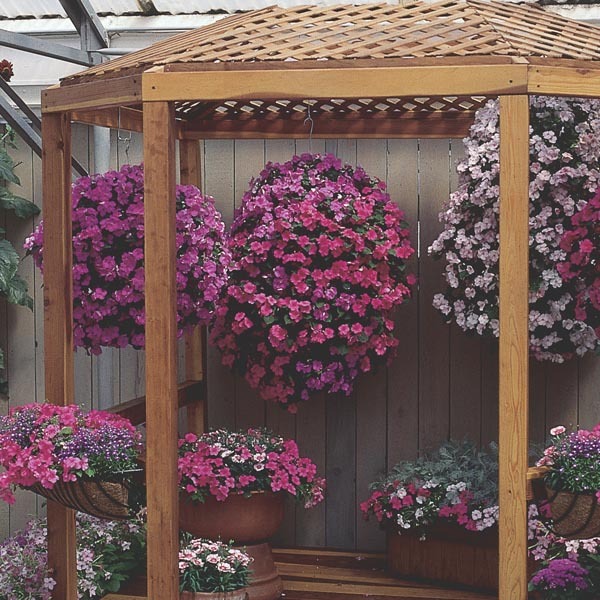 Hanging baskets offer a way to instantly increase gardening space by taking advantage of vertical space. They add eye-level color and bring small spaces such as balconies and porches to life. Baskets can be filled with colorful flowers, exotic foliage plants, or even miniature vegetable varieties or strawberries to create a convenient food source.